Blog - What should a DJ wear? DJs can spend a lot of time and money on their equipment but do they overlook one crucial element; themselves? A bride and groom will no doubt spend hours choosing the right clothing for themselves as they want to look the part on their big day. Most weddings are formal events and the general rule of thumb is that smart is the normal; men wearing suits and women in dresses. Obviously there are exceptions to this "rule" as not every couple wants the same. I like to check the dress code for each event to ensure that I match the code and don't stand out; wearing a tux to a casual event would look odd as would wearing jeans and a t-shirt to a formal event. For most weddings I will wear a suit (usually opting for a waistcoat in place of a jacket) with shirt and tie. Often I will arrive wearing a polo top for setting up so that I can change into my shirt once I've finished carrying in the equipment and setup. For birthday parties I'll match the theme if possible or it will be a smart shirt or polo top depending on the event. It's also worth thinking about the environment you will be in and adjust according to the conditions - you don't want to be too hot or cold so it's worth considering how many layers you need. If you're working outside or in a marquee you might want to consider a pair of gloves too. 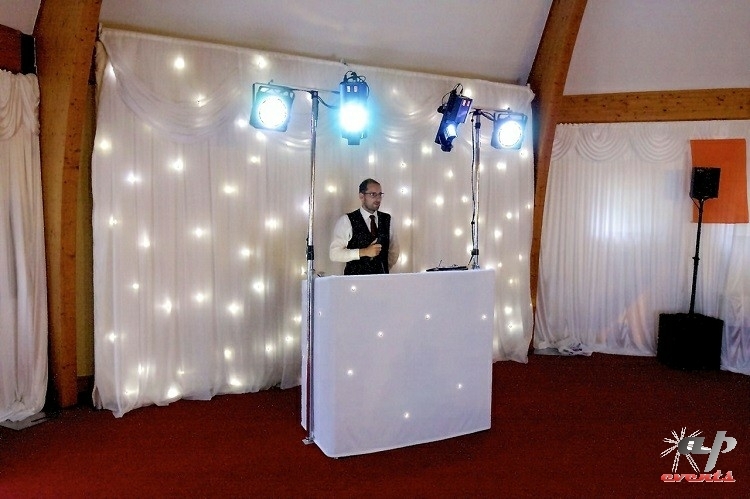 It's always worth a DJ checking what the dress code is and there's no harm in the bride and groom asking what the DJ will wear. After all, better safe than sorry!